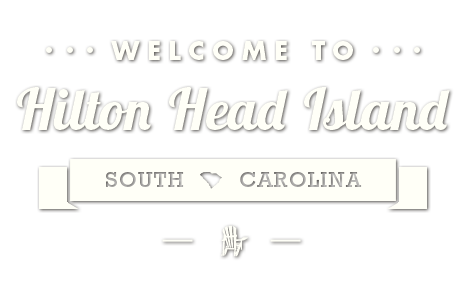 U. S. Route 278 is the only highway coming to Hilton Head Island. 278 extends all the way to I-95 (Exit #8). After you cross the large bridge (which spans the Intercoastal Waterway), you are now on the Island. About 2 miles onto the Island, you’ll see signs for the New Cross Island Parkway, (stay in the left lanes) or Business 278 (stay in the right lanes). Until 1998, Business 278 was the only way you could go. It was the only road traversing the Island, and ended at Sea Pines Circle. The speed limit is 45 mph, and there are many stoplights along the way. It used to take between 25 & 30 minutes to get to the Sea Pines Circle on Business 278. With the new Cross Island Parkway (speed limit 55 mph and no lights), it now takes only 5-6 minutes to get to Sea Pines Circle. The Parkway is about 6 miles long, and there is a $1.25 toll. The toll booth is located just before you cross Broad Creek. To contact the Cross Island Parkway, (843) 342-6718 or www.crossislandparkway.org. If you are going to stay in Shipyard Plantation, Long Cove or Wexford, along North or South Forest Beach Drive, or anywhere in Sea Pines Plantation, you will get there much quicker by using the Cross Island Parkway. If you are going to Indigo Run, Hilton Head Plantation, Palmetto Hall, Beach & Tennis Resort or Port Royal Plantation, it is best to use Business 278. If you are going to Palmetto Dunes, it’s kind of a toss-up. Under normal traffic conditions, it’s probably no faster to use the Cross Island Parkway. On the other hand, if there is an accident on Business 278 in the direction you are going, and you haven’t yet reached Palmetto Dunes, you may want to turn around and get on the Cross Island Parkway. Either way you go, take your time, drive safely, and enjoy our beautiful Island.